Endurance coaching is a unique career. I’ve yet to meet a coach who doesn’t enjoy what they do, and more often they flat-out love it. Every day we get to engage with doctors, lawyers, teachers, managers, accountants, and pilots who have amazing and challenging athletic goals. Coaches are also an athlete’s conduit to remove themselves from their daily grind—even if it means immersing themselves in a very different type of grind! Ironically, once an athlete achieves their goal, they often stop requiring a coach’s services. In other words, the thing you’re both working for can mean the end of your relationship, which means that while satisfying, coaching can also be a challenging business environment to manage. So how can we make sure that the career we’re so passionate about is sustainable and supportive? How can our passion put food on the table? The following guidelines will help you establish yourself and provide exceptional value to your athletes, increasing the chances that they’ll spread the word, and come back to you with their next big goal. I was never a text book guy; the recess bell was the only enjoyable part of the day at school for me. However, I recognize that proper education and development can help underpin a solid business. It’s great to earn a certificate from your National Triathlon Federation, Swimming Association, Athletics Organization or TrainingPeaks, but you need to stay curious. That means developing those ‘crash course’ skills, finding a mentor, and developing your unique coaching style. No two coaches are the same, so learn from others and try to avoid copying them. For better or worse, if I lined 10 potential clients against a wall, 8 of them would look at my athletic resume before my coaching qualifications. Can coaches be great without having results in the sport itself? You bet. However, there is no question that a few palmares along the way can enhance your ‘street cred’. What it comes down to is less about bragging rights and more about living what you coach. A good coach will succeed with their athletes, fail with their athletes, sweat, cry and bleed with their athletes. In other words, don’t just tell them how to do it, SHOW them how to do it. Be the guinea pig for your athletes; if you can, do it first. The greatest inspiration comes through action, not words. When it comes to business, follow the 80/20 rule; spend most of your time ‘in the business’, but remember to spend some time focusing ‘on the business’. Time ‘in the business’ is all those tasks you do day to day that keep the wheels turning. Time spent ‘on the business’ dictates the big-picture direction and life cycle of your coaching brand and philosophy. Maybe that means spending some time modernizing your website, or brainstorming about how to extend your reach to new athlete segments. Coaching businesses can suffer greatly from the seasonal nature of outdoor sports, but you can limit the ups and downs by implementing a few strategic measures. By joining the Coach Match program with TrainingPeaks, for example, my once local coaching roster in Australia now extends to over 17 countries, with a 70/30 split of Southern and Northern Hemisphere athletes. Diversity in your athlete roster is a great way to maintain consistent demand all year round. It has also developed my coaching skills across many different cultures! Ever heard the saying “he/she can give it, but can’t take it”? Don’t be that coach. You might be surprised how much you can learn from your athletes if you give them the opportunity to provide constructive criticism. This will not only help you grow as a coach, but only enhance your relationship with your athletes. A simple end of season/year feedback form is one such method. Just make sure you follow up! A very simple life philosophy is: “don’t take yourself seriously, take what you do seriously’. 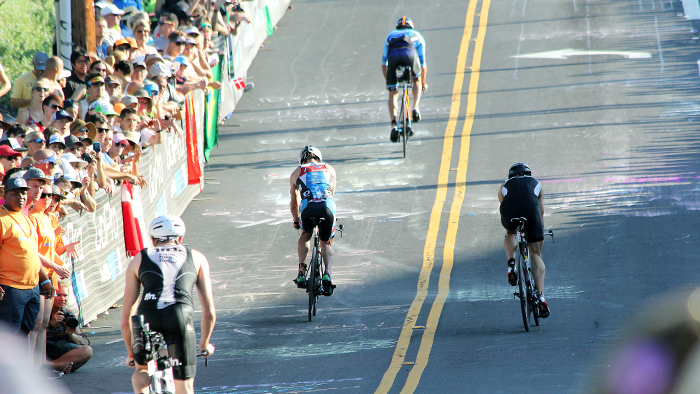 Tim Ballintine is a full time endurance coach and owner of Koa Sports. A husband, father and age grouper. 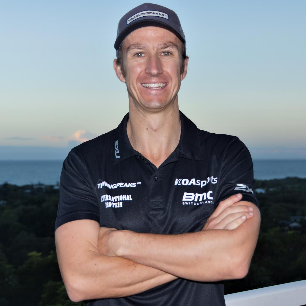 Tim is a level 2 TrainingPeaks Coach, accredited with Triathlon Australia, Swimming Australia, Athletics Australia and University Bachelor in Business Management and Marketing. The inaugural coach of Triathlon Victoria’s Tri Active Program (Triathlon for first timers), Kona qualifiers and ITU podiums. As an athlete, a multiple Kona finisher, Sub 9 Ironman and State Champion.